Gary D. Foster, Ph.D., is Adjunct Professor of Psychology in Psychiatry at the Perelman School of Medicine at the University of Pennsylvania. He currently is the Chief Scientific Officer at Weight Watchers International, Inc. Dr. Foster, a clinical psychologist and obesity investigator, was previously the Founder and Director of the Center for Obesity Research and Education at Temple University in Philadelphia, where he was the Laura Carnell Professor of Medicine, Public Health and Psychology. 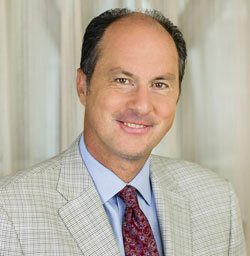 Prior to Temple, he was a faculty member at the University of Pennsylvania School of Medicine from 1993-2006. He has authored more than 175 scientific publications and three books on the etiology and treatment of obesity. In 2014, Dr. Foster was awarded the George A. Bray Founders Award by The Obesity Society, which recognizes significant contributions to advance the scientific or clinical basis for understanding or treating obesity, and for extensive involvement with the Society. Dr. Foster's research interests include the prevention, behavioral determinants, treatments, and effects of obesity in adults and children. His current focus is on scalable, evidence based approaches to obesity management. Dr. Foster earned his Bachelor of Arts degree in Psychology from Duquesne University, an M.S. in Psychology from University of Pennsylvania, and a Ph.D. in Clinical Psychology from Temple University. Foster GD, Sanders MH, Millman R, et al. Obstructive sleep apnea among obese patients with type 2 diabetes. Diabetes Care 2009;32:1017-9. Foster GD, Linder B, Baranowski T, et al. A school-based intervention for diabetes risk reduction. N Engl J Med 2010;363:443-453. Foster GD, Wyatt HR, Hill JO, et al. Weight and metabolic outcomes after 2 years on a low-carbohydrate versus low-fat diet: a randomized trial. Ann Intern Med 2010;1153:147-157. Foster GD, Sundal D, McDermott C, et al. Feasibility and preliminary outcomes of a scalable, community-based treatment of childhood obesity. Pediatrics 2012;130:652-659. Foster GD, Karpyn A, Wojtanowski AC, et al. Placement and promotion strategies to increase sales of healthier products in supermarkets in low-income, ethnically diverse neighborhoods: a randomized controlled trial. Am J Clin Nutr 2014;99:1359-1368.